Coco Plum Vacation Rentals, LLC. presents ~ Indigo Reef Marina Homes in Marathon, Florida are nestled into 10 tropically landscaped acres on the Gulf of Mexico at MM 52.5. Just 67 of these fines homes were built in 2005. Indigo Reef Vacation Rentals are the perfect place to relax and unwind after a day of fishing. In all of the Florida Keys, Indigo Reef stands out as one of the most tasteful resorts that we have to offer. Indigo Reef Marina Homes feature an amazing landscape characterized by native flora surrounding the entire complex which is laid out with a specific goal of 'Tropical Relaxation' in mind. The interior of these homes are equally exquisite with space and luxury in focus. Indigo Reef Florida, Keys is where you want to be if you are looking for a non-single family home environment with all of the glamorous amenities of a first class resort. Coral Lagoon is the sister property located on the Atlantic side. Coral Lagoon offers townhomes as well as single family vacation homes with boat slips. Indigo Reef Vacation Homes are laid out beautifully with an inviting floor plan. The open first floor consists of a fully equipped kitchen, living room and dining area plus guest bath. On the second level the Master Suite has a deck of its own and also boasts its own private bath. There are two more bedrooms on the second level plus an additional guest bathroom for convenience and a Washer and Dryer. The fully stocked and well appointed kitchens at Indigo Reef will make cooking your own freshly caught seafood a pleasure. Granite counters, stainless steel appliances and abundant work space will impress the cook in your party. Indigo Reef vacation rentals are a boaters Paradise. Each Indigo Reef home come with your own 27-31 foot boat slip. We can arrange Boat Trailer parking for you and guide you to the best boat ramp for your needs as Indigo Reef does not allow boat trailers on the grounds. This is in keeping with the luxurious feel of the complex. Indigo Reef Boat Slip Assignment Chart. Bedrooms/Accommodates (3/6) - The master suite features a king mattress and the other two bedrooms feature a queen mattress and two twins respectively. Some units may have sleeper sofas and accommodate 2 additional guests. Or, ask your Coco Plum Vacation representative about the availability of a roll away bed. Bathrooms (2.5) - There are 2 1/2 bathrooms in total with guest baths up and down and a private bath for the Master Suite. Beach/View - These resort homes features remarkable views from both the upper and lower level decks, living room and Master Suite. Whether you fly into Marathon's private airport, drive from the Miami airport, come by boat or drive Indigo Reef is readily accessible for your Tropical vacation. 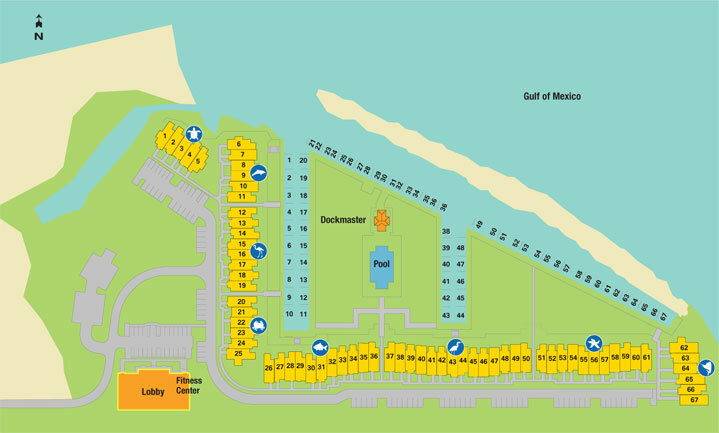 Sombrero Beach Marathon is a ten minute drive from the Resort and Coco Plum Beach is 5 minutes. Location Map - Traveling route 1 south, turn right on 117th street immediately after the the Vaca Cut bridge around Mile Marker 53, around corner to the left and turn right into Indigo Reef Resort. Coco Plum Real Estate, Inc, in Marathon, FL is available to assist with real estate sales in Indigo Reef. They can be reached at 305-432-9754 and are licensed for Florida real estate sales. You will find several other similar homes on this site in Coral Lagoon and Village at Hawks Cay. 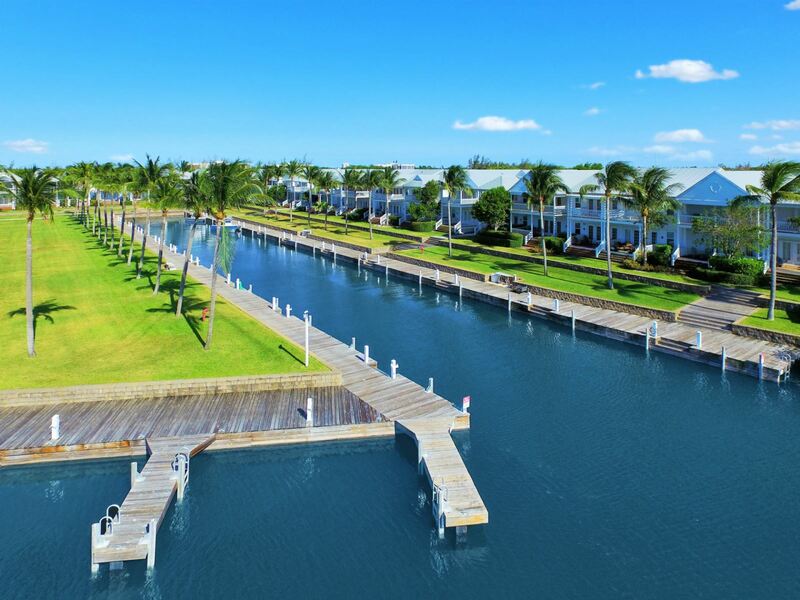 Coral Lagoon homes are located on the Atlantic side and offer canal views and marina services. Village at Hawks Cay has dockage for a fee through the local marina. Coco Plum Vacation Rentals, LLC. Is a non-real estate agency, non-Realtor® affiliated business entity separate from Coco Plum Real Estate, Inc. which is a licensed real estate business.